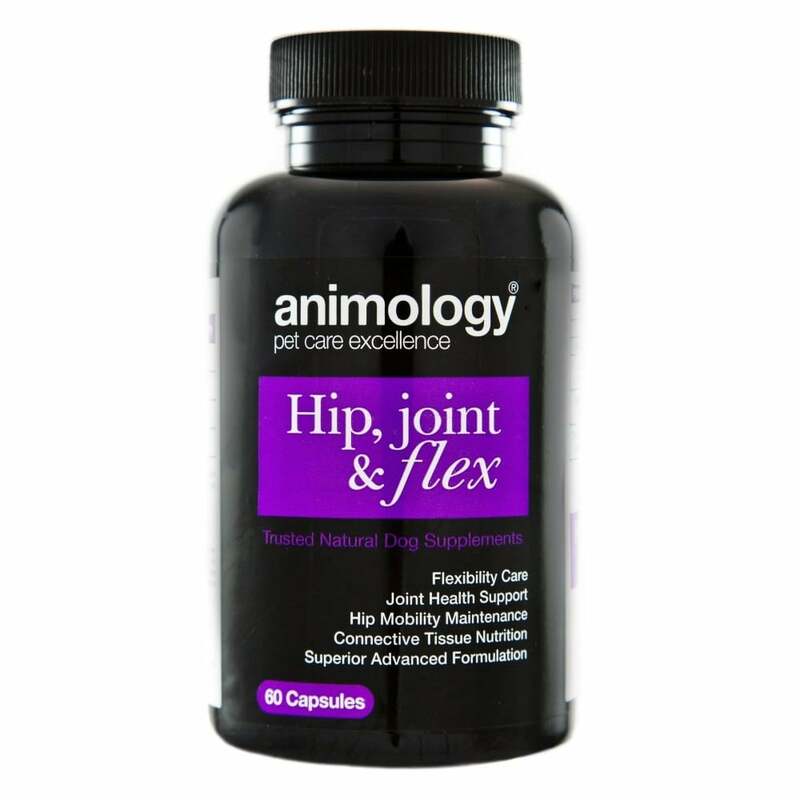 Animology Hip, Joint & Flex Capsules contain Glucosamine and Chondroitin as well as MSM and Natural Vitamin E for superior joint care to provide targeted support for your dog's joints, hip mobility and connective tissue. Suitable for dogs from two months old. Each of the 60 capsules can be given whole or pulled apart, emptied and mixed into your dog’s food or water.